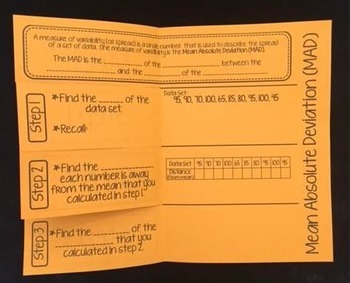 This foldable provides an introduction to Mean Absolute Deviation (MAD). 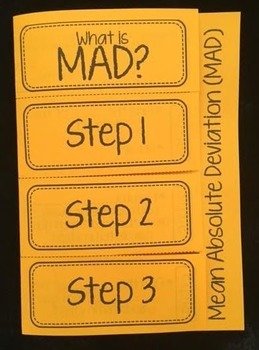 Students will take notes on the meaning of MAD, the steps for finding MAD, and complete 1 example. This works great whole group/ guided instruction, in math centers, as a class work/ homework assignment, or even as an exit slip. PERFECT for interactive math notebooks!